We are so excited to celebrate Israel’s birthday this year! 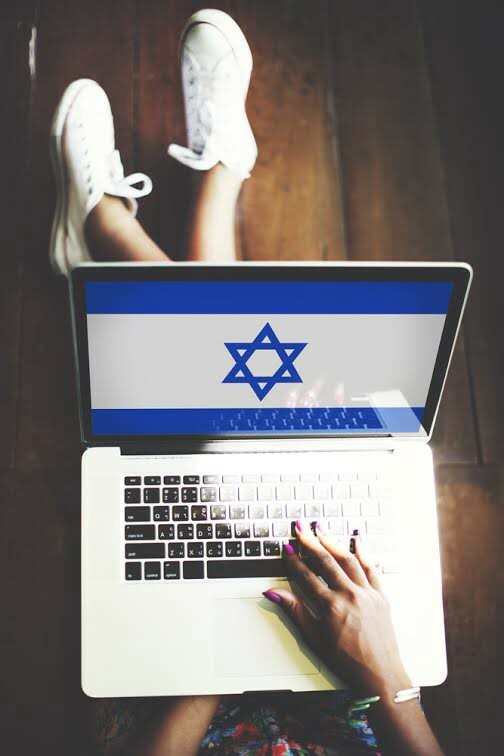 We put together a list of the best Israel has to offer— that which gives us our name as the Startup Nation—our startups! Out of all of the wonderful startups to choose from, these have been selected due to their purpose of serving the everyday consumer in innovative, truly beneficial ways. Because we love all startups equally, we’ve organized the list in alphabetical order. Hopefully you will find these useful and maybe they will make your life a bit easier. Any.Do (Utilities) — Any.Do is recommended as “Editors’ Choice” on the App Store. With over 15 Million users, this to-do list is a prime organization tool. Artbit (Entertainment & Social) — Artbit connects the physical and digital world of art to enhance interaction. The app can be used by artists, galleries, and those who want to find art near them, with a huge database of artwork that lets you identify and share the pieces. Discovering new art experiences and leveraging the power of the crowd. Babysitting (Kids) — Babysitting allows you to find reliable and recommended babysitters near you. With the ability to interview the babysitters through video chat, and read reviews, you can choose your perfect candidate. Belong (Health) — Belong is a place for cancer patients, their families, and doctors. Its aim is to help these patients throughout their treatment process and improve the way cancer is being fought. Connects patients, doctors, researchers, and hospitals. Brayola (Shopping) — Brayola is turning the search for a bra into a high tech mission. In addition to helping select a perfect fitting bra, they also provide recommendations and let you share your favorites. They recently raised an amount of $2.5M on Series A funding. Chosen (Entertainment & Social) — Chosen is a platform for users to create, share, and find cool photos and videos. Users can find hours of entertainment through participating in or watching video challenges. Comedy.com (Entertainment & Social) — Comedy.com is the place for those wishing to create or watch funny videos on their phones. Enjoy short films on the fastest-growing online comedy network. Comedians can use this as a forum to present their stand-up routines to the world. CureDiva (Health) — CureDiva is a place for women dealing with cancer to find everyday solutions in a stylish, feminine environment. They facilitate easier shopping by providing unique high end fashion, support, and all non-medical needs. Made by women with breast cancer, for women with breast cancer. Docady (Utilities) — Docady puts their unique smart scanning technology to use in order to supply you with all of your important documents, on the go. From your passport to insurance cards, everything is organized by individual and category. DondeFashion (Shopping) — A smart search engine for shoppers to purchase clothes, outfits and styles from top brands and retailers. Instead of using words, DondeFashion uses visuals and aspects (color, length, pattern, material and more) to help you narrow down the search and find the exact item were looking for. Drippler (Utilities) — Drippler is here to help you get the most out of your phone. Sharing phone tips and hacks, apps to download, new features, updates, and even must-have accessories. Available to make your Android or iPhone even cooler. EatWith (Food) — EatWith brings tourists and foodies into the homes of local hosts and chefs in over 150 cities worldwide. The guests can choose from a fixed price per person menu, based on location and food styles. Earny (Shopping) — Earny acts as a personal shopping assistant. Through tracking your purchases, it finds better prices and refunds you the price difference. Free money? Yes please!! Fairfly (Travel & Transport) — How often do you keep up with flight prices once you’ve already booked your ticket? Fairfly checks your airfare after you’ve booked and notifies you if the price drops. You can rebook immediately through the app. Farmigo (Food) — Don’t have time to stop at the farmer’s market or there isn’t one nearby? Now you can use this online farmer’s market, connecting you directly to local producers in your area, for any fresh foods you may need. Feex (Utilities) — Saving money; that’s what apps are all about. Feex is here to help you stop paying fees you don’t need to. Sign up, send your financial or brokerage reports, and let them handle it for you. Finupp (Utilities) — Here’s another startup built on the need to get your lost money back. Finupp can see if you deserve a tax refund and help you get it. Signing up and checking your status is free- the rest is up to them. Fiverr (Freetime) — Another startup you probably heard about is Fiverr, that let freelancers do all sorts of jobs for 5$ (Or up to 500$). If you need a logo, a drawing or even a voice artist, a translation, a copywriter or someone to mix your music, find all them in Fiverr, for a low price. Also, don’t forget to offer your services if you have any expertise in these categories. Fooducate (Food) — A weight loss and nutrition app that helps you track your food, activity, sleep and mood. They will help you buy the right groceries, offer you recipes, and have a barcode scanner to check food’s nutrition grade. Funzing (Freetime) — Funzing is the platform for finding and experiencing interesting activities in your spare time. If you ever wanted to try painting on pebbles, attending interesting lectures, going to a graffiti tour, or joining a pub crawl with tourists, here’s your chance, with all sorts of opportunities at your fingertips! Anyone can create an activity, and anyone can attend. GivingWay (Freetime) — Another good startup for a good cause, is GivingWay’s platform for finding places to volunteer around the world. Work with lions in South Africa, with children in India, or help in the jungles of Brazil. If your dream is doing good and helping others, this is the app for you. Glassify (Freetime) — Well, that’s interesting. Ever thought of purchasing a smart beer glass that studies your drinking habits and offers you personalized promotions and discounts for your favorite beer? Now you can. Glassify comes with an app, so you can order beer before you show up and share your beer-drinking experiences. Glide (Entertainment & Social) — A live video messenger. Simple and successful. Join groups or private chats, and send videos instead of just typing. Since their founding in 2012, they raised $29 million, and have more than 15 million users. HereO (Kids) — The smallest GPS watch, designed especially for children. The HereO watch will report your kid’s location at any time and alert you of anything suspicious. So let your worries go, get yourself a HereO. HipHope (Health) — Like an “airbag” for the waist, to protect seniors from falling and breaking their hip. Hip fracture is the most common injury for the elderly, and Hip-Hope’s smart wearable belt was created to prevent it, with smart fall detectors that inflate an airbag automatically. Hip-Hope is currently in beta, but will be available to get for your grandparents soon. Hola (Utilities) — Free VPN service that works as an extension for your browser to allow you browse the internet “from other countries”. Access any blocked website in your country and make your internet faster with Hola. Houzz (Freetime) — Maybe you’ve heard of Houzz already; this Israeli startup, now based in Palo Alto, raised over $200 million to become the world’s leading online platform for home remodeling and decorating, through connecting you with right professional for the job. EyeSight (Entertainment & Social) — An expert in “machine vision” and gesture recognition technology, or as we call it — the future. Their recent development is “Singlecue”, which lets you control your TV without a remote control. With simple hands gestures you can do anything from changing a channel to lowering the volume. Pretty amazing, huh? Jetta (Travel & Transport) — A marketplace for second hand flights. This is just as it sounds. Every year millions of people need to cancel their non-refundable airline tickets due to last minute issues. Jetta was built to let those people sell their tickets at a lower price, so they won’t lose all of their money. The buyers, on the other hand, can find very reasonable prices for flights. Knowmail (Utilities) — Open your email inbox. It’s messy, right? You have no idea what to read first or do next. Knowmail’s smart algorithm will filter for you, to help you see what’s most important and needs to be dealt with. Organizing your emails with many features can make your job and life overall easier. LawGeex (Utilities) — No one reads contracts. We bet you barely read up until this part of the article. Especially contracts have text is too long and with many foreign legal details that you know nothing about. LawGeex was created to read them for you. Upload your contract and let them do the magic. They will scan and compare with other similar contracts to find issues and flaws, and also get it to a lawyer. LogDog (Utilities) — Your smartphone’s watchdog that will prevent hacking into your social accounts such as Gmail, Facebook, Dropbox and more. LogDog continuously monitors your accounts and if they detect any suspicious activity, you’ll get an alert. Magisto (Entertainment & Social) — Instead of editing your own videos, let Magisto do it for you. Add your photos, videos, choose a theme and the music and let the magic happen. This useful tool will automatically create a video for you, with amazing results you could proudly share with anyone. Meerkat (Entertainment & Social) — The hottest trend in the world right now is live broadcasting, and Meerkat was there when it started. With Meerkat you can stream live videos to all of your Twitter followers with just a one click. Mego (Utilities) — Every Israeli knows how stressful it is to go to the post office to pick up eBay deliveries. The lines are long and the work hours are short. Mego is here to bring the mail for you. Just pay 19 shekels, and their delivery guy will conveniently bring it straight to your door. Meucci (Entertainment & Social) — With a recent funding of six million dollars, Meucci is aiming to connect you with everyone, everywhere. Their technology lets users make regular calls or group calls, without the need for WiFi or any internet connection. MissBeez (Utilities) — Ladies, this app was tailored for you. MissBeez will connect you, the hard-working-busy woman, with professional beauty services around. Now you can have manicure, pedicure, hair design and more right at your doorstep or at the office. Musketeer (Utilities) — An app that provides social safety network by building a community of “Musketeers”, coming for your rescue. Got robbed? Your friend needs medical attention? Just click the button and call for help. Also, if you ever dreamed of being the hero — you can sign up as a Musketeer. Muzli (Utilities) — If you’re a designer or interested in UI/UX, use the Muz.li Chrome extension to get your inspiration easily. Instead of browsing the internet for ideas to get inspired, their product will give you their editorial picks, the hottest links, and useful resources. MyState (Entertainment & Social) — Is the person you wish to talk to busy talking with someone else? Well, MyState will let you know it before you even call them. Also featuring: phone status. If your friend is available for a call, using silent mode, has low battery, or device is turned off — you can check these before you call. Nutrino (Food) — Nutrino works as your own professional nutritionist. Input your fitness goals, medical records, allergies, and your favorite foods. Their algorithm will study your lifestyle and eating habits, and even get information from wearables, all to give you the best diet plan tailored for you. Also, if you’re pregnant, Nutrino works with IBM Watson to help you 24/7 and give you nutritional guidance. OurCart (Shopping) — The main goal of OurCart app (Formerly known as Zollo) is to use crowdsourcing to give you the best price for your groceries. Create your shopping list and the app will let you know where’s the best place for you based on the cheapest prices and distance from your home. Amazing idea that unfortunately works only in Boston at the moment. Overwolf (Gaming) — Founded in 2010 to make the Gamer’s world more social and awesome. Overwolf runs their own free appstore with over 300 overlay apps that work as an extension for your games, connecting you with other players, sharing your scores, and more. Parola (Entertainment & Social) — As a musician (well, we’re not, maybe you are) your mission is to create and collaborate with other artists. Parola is the platform for you. You can join other musicians like yourself and contribute your part to the creation, make a new song, remix an existing one and recommend each other new music. Paybox (Utilities) — How many times have you and your friends tried to collect money for a cause, like an expensive birthday gift for another one, but failed to do so easily? Paybox Payment Solutions app was created to solve this issue exactly. Create a group and everyone will be able to pay his part easily, without the need to chase anyone. Simple as that. PetPace (Pets) — PetPace is a collar that monitors your dog or cat’s health in real time. It measures their temperature, pulse, respiration, activity and even how many calories they’ve burnt. Another important feature is that it lets you share the results with your vet quickly. Pulse Play (Sports) — This interesting smartwatch, crowdfunded on Indiegogo, was founded by three-time Grand Slam champion Andy Ram at sFBI, to give an excellent and elegant solution for racket sports players such as Tennis or Table Tennis. It has many ideal features such as scorekeeping, a ranking system, and a way to create a community of players all around the globe. Rentitbe (Shopping) — Rent it Be, just like “Let It Be”, lets you rent just about… anything. Need a backpack for your trip? A diving suit? Or maybe just a drone to fly around? Don’t buy it, rent it. Save money on an item you’re gonna use only once, and save the planet as well. Robomow (Utilities) — This company has been around since 1995, and have been developing their cutting grass, cutting edge technology ever since. Their most recent development is their 5th generation mower, where you can control your robotic lawn mower with an app from your smartphone. Pretty cool. Roomer (Travel & Transport) — Travelers are losing about ten billion dollars yearly, for cancelling their pre-paid hotel reservations. Roomer is here to fix this. They created a marketplace where you can sell your booking for a lower price (which is still better than nothing). It’s a win-win for both sellers and travelers, who wish to make their vacation a bit cheaper. RoutePerfect (Travel & Transport) — A route planning service for exploring Europe easily. Set your destination, the trip type (romantic maybe?) and your budget; let RoutePerfect do the rest. When it’s done, you can tweak your trip style and choose attractions as you like, and book everything in just a few clicks. Seatylock (Sports) — “What if your bike seat turned into a tough lock?” -That’s the question they’re asking, and answering. So simple, and yet, never been done before. Pull out your seat and turn it into a 1 meter, tough, and awesome lock to protect your bicycle. That easy. Not an app, not a wearable device, and nothing that requires coding- just an amazing gadget. Sidekix (Travel & Transport) — Sidekix is a navigation app for walking. Select your shoes, and where you want to go, based on a specific location or through browsing nearby nightlife or restaurants. The app will provide the best route for you. Slidely (Entertainment & Social) — This platform connects to your Facebook, Instagram, Dropbox and other social networks you use, to let you easily create artful collages and amazing video slides in just a few clicks. Post, share with others, and gain followers. Smartbus (Travel & Transport) — Need a bus for your employees or looking to order a minibus for you and friends so you don’t have to worry about a designated driver home from a wedding? Smartbus was built to answer those needs, to find means of transportation quickly, and save some money on the go. SpeedApp (Utilities) — If you need to deliver an important letter, documents, or a lawsuit to someone (let’s try to avoid that one), you can use SpeedApp to find pro couriers in your area to deliver it for you. Splacer (Freetime) — An online marketplace to help you find the perfect venue for your event — a meeting, a party, or exhibition — just select your goal, the number of participants, your budget, and expedite your search for perfect one. Currently available only in New York and San Francisco. TabTale (Gaming) — With over one billion downloads and 300 apps, you can pretty much say that TabTale is one of the leading mobile gaming companies. Every week they release an educational app, game, or book just for kids. Visit their website and see if you find anything interesting for your kid, maybe she’ll love “Rockstar Girls” or “Babysitter Madness”. TourPal (Travel & Transport) — Looking for a tour guide? Now you can grab TourPal in over 90 locations around the globe, to be your own audio tour guide straight from the palm of your hand. You can use it both online or offline, and the guide will be there for you to give you all of the exciting details. TravelersBox (Travel & Transport) — It’s time to pack it up and return home from the Philippines, but oh no, you have a lot of “Philipine Peso” left. What are you doing? Usually spending it all at the airport. Well, no more. TravelersBox are kiosks placed in different airports that let you convert the foreign currency and use it to get gift cards, make donations, or transfer to your PayPal account. Treato (Health) — Searching online for your medication’s side effects is causing you even more headache? Meet Treato. They analyze, search, and filter the web for you, regarding every prescription and medical issue. You can also see what other patients just like you are saying and experiencing. Trench (Shopping) — Ladiiiiies, forget money, it’s time to use “Diamonds”. Trench is a peer-to-peer marketplace where women sell their awesome fashion items using Diamonds. Then, they can use the Diamonds they collected to buy clothes and accessories from other women in the app. The app is currently for members only, but stay tuned. Via (Travel & Transport) — Just last week they made the news for raising $100 million, causing their funding to reach a total of $137 million. Via aims to be the “Uber” for transit. Customers request a ride through the app, and their algorithm to find the transit that likely goes your way and can pick you up. Currently operating in New York and Chicago, but you can be certain that they will soon be arriving near you. Viewly (Utilities) — Simply put, it’s a Kickstarter for donations. Viewly lets every user start and spread their own donation campaigns for good causes like food donations or finding a shelter for dogs. It also lets you monitor your campaign and see how many people were affected. A brilliant idea for a good cause- now that’s a winning startup. Zeek (Shopping) — Instead of letting your unwanted gift cards or vouchers go to waste, you can sell them. Zeek lets users sell their gift cards at a lower price, and buyers can use them to get a discount. Pretty simple. Zeekit (Shopping) — Zeekit, which means Chameleon in Hebrew, is an online fitting room where you can use the app’s image processing technology to upload your own photo and see how clothes fit you. Like how it fits? Purchase easily in-app. Zengaming (Gaming) — Founded in 2015 they recently raised about $2.8 million. Zengaming is aiming to be the “Linkedin for eSports”. The social network lets users or teams create a professional profile, find sponsors, compete, and earn prizes. Their website already has more than a million users. 90Min (Sports) — Football fan? This is the place for you. 90Min collects football news and analysis from over 2,000 writers around the world. With hundreds of articles published daily, a lot of media partners and over 200 communities, their platform is becoming the best and most comprehensive source for football news.